Having just finished performing with Martina Cannon​ And The Mean Reds at the Red Sessions in the Blind Poet I made haste for the La Belle Angelle to witness the famed Yellow Explosion of positive rock n roll. Colonel Mustard And the Dijon 5, a 14-piece outfit, were in town. Now this is another Scottish Band (heralding from Glasgow) that Divine has performed on the same bill as, at many different events, but because our performance times have clashed, I have been unable to relish the joy that this wonderful band generate.Until Last Night. I hit the Cowgate in Edinburgh and was called into Bannermans by Lorraine Thomas​, where I had a swift pint of Guinness and joined the yellow Army who were also heading to the much anticipated gig. On arrival at La belle Angelle, a young band from Edinburgh called Durty Works immediately grabbed me with a sound not dissimilar to the great band, Echo And the Bunnymen. Oh yes Divine loved them. This brilliant example of Rock N Roll grabbed me in an instant promoting the dance moves that great Rock N Roll should do. this young band of merrymen are gonna go a long way. Divine was more than suitably impressed. Next up, The Begbies a full band with a rather brilliant horn section, producing a big band sound (not as big as the Mustards) [laying original compositions and some well chosen Specials covers. They Suitably prepared the dance floor for the all-captivating Colonel Mustard And The Dijon 5. 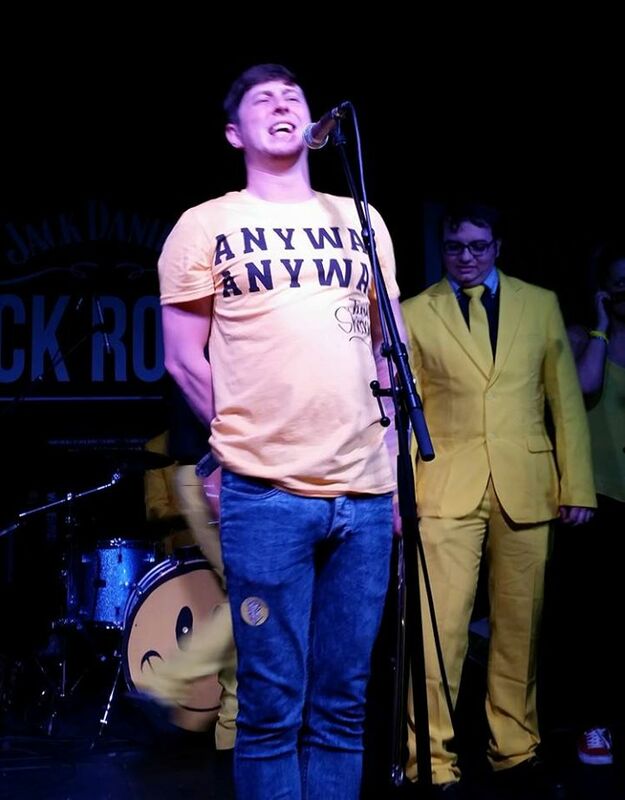 Resplendent in the most positive colour, the Yellow Movement graced the stage with Jamie of Jamie and Shoony Fame opening proceedings with his buoyant and fun stage presence. Introduced by the good Colonel. Now The Mustards are a band that are legendary for the fun that they promote, I have been friends with the rather beautiful supporting female singers for some time, but this was my first experience of why this band are doing so well.